In the past few years, the middle-distance runner and world champion, Caster Semenya has been flying the South African flag high. As a result, 21 ICONS will feature Caster’s short film in one of their third season's episodes. The film will be on our small box on 17 January, at 19:27 on SABC 3. The 21 ICONS traces the country’s history from fighting for freedom, democracy to the vision of the future. The third season has been envisaged as a tribute to the country’s future shedding the spotlight on young South African icons. Semenya is one of the people who worked hard to get by and whose life has become something of an inspirational story worth telling. “I love running. I feel free and I can just be myself,” she explains. She reveals that she would watch the Olympics and the All Africa Games and see her role models running there. “I had that feeling that maybe I could be like them or better,” she tells. The 24-year-old has founded the Caster Semenya Foundation through which she trains and assists young athletes. “I know what it takes to be a world champion so I just want to give young kids an opportunity to taste what I have tasted. That’s what I want in my heart,” says Semenya. Born in Polokwane in 1991, Semenya was raised in the village of Fairlie with her three sisters and a brother, the film takes us through her childhood life until she began training as a runner. In July 2008, at the age of 17, Semenya participated in the 2008 World Junior Championships, and won the gold in the 800m at the 2008 Commonwealth Youth Games. 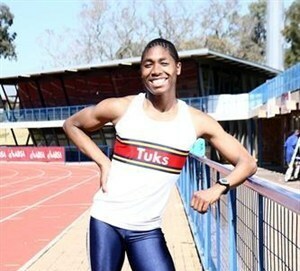 After her victory at the 2009 World Championships, Semenya was subjected to gender testing. She was withdrawn from international competition until 6 July 2010 when she was cleared up by the International Association of Athletics Federations (IAAF).